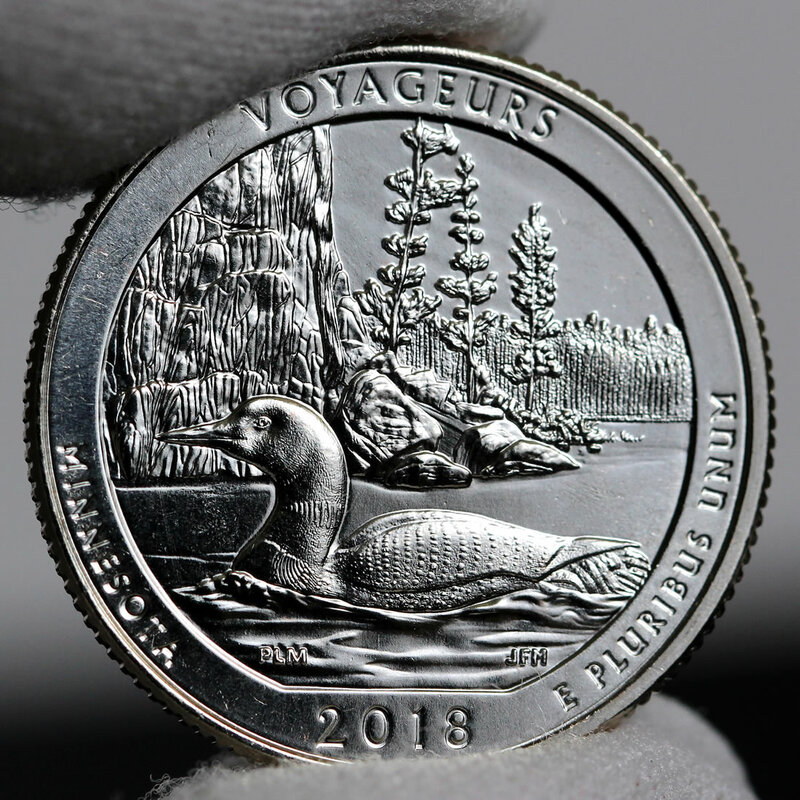 Early U.S. Mint sales figures have been published for new collector coins depicting Minnesota’s Voyageurs National Park. 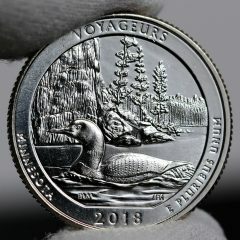 Released last week on Monday, June 11, the Voyageurs quarter is the third of five 2018-dated issues. Available products include rolls and bags of quarters from Philadelphia, Denver and San Francisco with mint marks of ‘P’, ‘D’ and ‘S’. The U.S. Mint published sales data for 162 numismatic products. Sixty-three products outperformed their prior weekly gains against 67 previously. Not counting the new Voyageurs products so as to compare apples-to-apples, 4 products increased by more than 1,000 units against 5 previously. In addition, 8 products saw their sales totals reduced against 6 previously. The uncirculated 2018 Mint Set plunged 4,840 to 135,233. All five WWI silver medals declined, registering losses ranging from 56 to 88 with specifics for each one in the grid further below. Below are tables showing the latest sales for U.S. Mint numismatic products. The sales period covers from June 10 to 17. Products with an asterisk (*) are no longer available or had no reported sales. Last week on the US Mint website, it listed the 2017 uncirculated W silver eagle as “sold out“. Last time I checked this coin has disappeared from the US Mint website. I look forward to Mr. Unser showing that this one is sold out on this site with that little asterisk *up by the year 2017 on his handy chart, LOL. Does the 2016 W proof ASE include those sold in the Reagan coin and chronicles sets? Does the 2017 W and 2018 W proof ASE mintage include the bulk sales? And does the mintage figures of other coins that are sold in multiple US Mint packaging such as various proof sets include total sales or do they need to be combined to get real numbers? The Mint’s sales figures listed here are per product, & therefore you need to add all products that contain a certain coin together to get a final mintage figure.